If you want to ditch the drudgery of 9-5 office hours and switch to working from the comfort of your home, then you’re making a smart move. It’s predicted that freelancers will dominate the workforce by 2020*. So, with the right training, there’s a possibility that your skills are in demand. What is my first step? Where should I really start my online job search? Then you go to Google and try to find jobs on online job boards. The marketplace for finding work from home jobs on the internet can be very overwhelming. If you’ve been job hunting for a while, you must have created an Upwork account by now. Upwork is a large online job board with over 87,000+ job posts. Upwork has become increasingly competitive, rigid and difficult to use for finding jobs. Especially when you’re an inexperienced newbie to online job search. There are a few things I have noticed. I am always competing against the cheap rates from India and other countries that I find it impossible to beat. There are people placing bids with $10/hr and clients wanting high-quality professional website for under $500, which I find absolutely impossible to deliver. There are higher budget ads as well but I think majority of the projects have very low budget. Is Elance really only good for people from countries that can work on lower rate? How can I improve my chances of winning a bid? 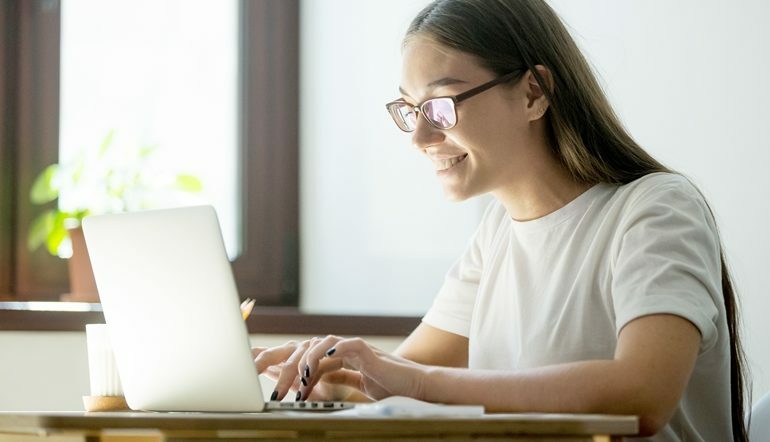 Even if you’ve already created a killer online portfolio on Upwork that showcases your abilities and experience, there’s no guarantee that you’ll get better results. Besides, you can’t discount the fact that there have been a lot of recurring scam and fake jobs on Upwork that applicants often fall victim to. And this can be really frustrating. Well, the good news is, there are several job sites out there (that are actually way better than Upwork) where you can submit your resumes and online portfolios. We’ve filtered your search and compiled a complete list of the best and most widely used online job boards to help you find genuine work that matches your expertise and needs. Check the following checklist to help you discover some of your transferable skills. Grab your free cheat sheet. Click here. KaziWork is a directory of vetted freelancers with online work skills. KaziWork is open to everyone. That means if you have online work skills, you can create an employee account. Once your account is approved, you can start to browse and apply for jobs available on KaziWork. The best thing about KaziWork is that you get ongoing training and support. 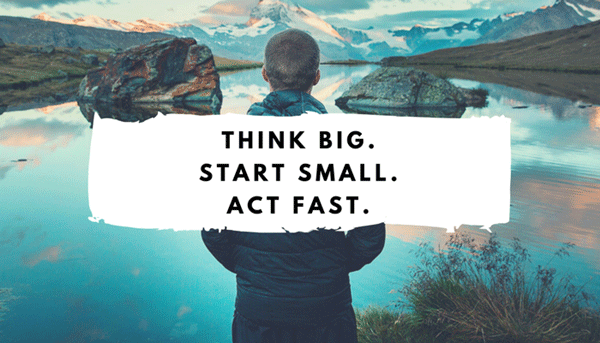 Small Revolution School offers special online training for an online career. As a graduate, you earn a certificate for the skills you’ve learned. You may also like to read stories of happy and satisfied employers who have hired via KaziWork. A majority of employers who want to hire online employees prefer candidates who have good online job skills training. Therefore, being trained and listed for an online career at KaziWork gives you a better chance of getting genuine online work. Find out the online courses you need for a successful online career. FlexJobs is a major career site (gets featured in the news and all). And they are all about helping you find a better way to work today. What this means is that FlexJobs – a job service, curates flexible, professional and legitimate job opportunities and puts them in one easy place for you to find them. Also, they allow pre-screened approved employers to search, find and reach out to candidates who meet their hiring needs. Although FlexJobs mostly caters for Americans (US/CA), they also list 100% telecommuting jobs that are open to anyone in the world. Zero job scams, no too-good-to-be-true job opportunities, no ads, no junk jobs or commission only jobs. Job posts vetted through rigorous criteria by a real person (spends about 30 minutes) before they serve it up to you. To apply for the jobs posted on FlexJobs, view employers, or the job details, you need to have a paid subscription. You can opt to pay monthly $14.95, quarterly $29.95, or yearly $49.95. So, what can you expect from FlexJobs after parting with your hard earned cash? Special members-only savings on job search, work, and lifestyle products. For instance, they have a career coaching at 55% discount of the market price. Anna T, a work at home mom and blogger, attests that jobs you find on Flexjobs are legit and scam-free. Search telecommuting jobs through Virtual Vocation’s list of 100% telecommuting jobs. Their job posts are mostly within the US, but they widely accept, post jobs and accept applicants from outside the US. Unlike, UpWork, their jobs are regularly screened by real people. You can get a free account and get access to hand-screened telecommute job leads, upload and store your job application documents so you can quickly apply for jobs. If you like to get access to their complete database, receive priority alerts for job opportunities, and get exclusive online courses and action plans, you can get a Premium Access subscription for $15.99 a month. Grab some cocoa and your favorite furry friend, and cozy up to these 21 #telecommute job postings! The site has been connecting freelancers and clients for the past 10 years. Compared to Upwork, their hiring process is simpler because you can create your freelancer account in just a few minutes. Like UpWork, it also has time tracker and safe payment methods. There is a paid membership of $8.95 so you could get more perks like using their search boost feature, for example. But creating an account is free and can already allow you to bid 120 times each year. 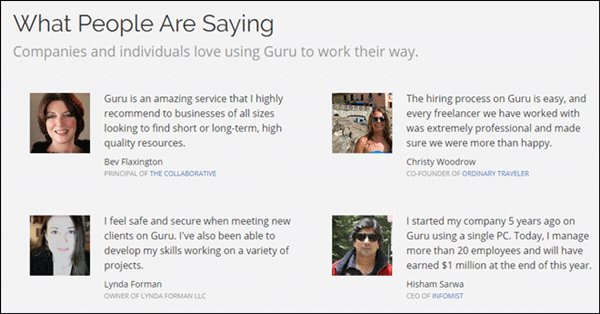 You can join the network of over 1.5 million gurus and get hourly or fixed-price jobs. It’s best suited for creative professionals in design, development, motion, management, etc. They invite applications based on the skills in demand and location. They only admit freelancers who demonstrate expertise in their chosen fields with strict identity verification. Therefore, they ensure that your name, portfolio, Twitter account, and email address are valid and have connections. The site is listed as one of the high ranking domains. Working Nomads has a carefully chosen list of quality job offers that are updated every day. They only collaborate with reliable and well-known companies and choose only the highest quality job offers. Aside from regular employment, you can also look for temporary projects. They also have specific job listings for specific skills that you can bookmark. Remotive means ‘remote – productive’ is specially created for remote productive workers, this company is home to 25000+ freelancers. It has a generous list of remote jobs anywhere in the world. They also have an exclusive Community of remote workers so you can hang out and learn from other remote workers around the globe. Rat Race Rebellion is committed to helping you get off the daily commute, this website offers handpicked jobs from across the web. They screen the leads. You can get good jobs in customer service among other work from home jobs. The good thing about this job board is that they only feature companies and job posts that are legit. Most companies who post here already have websites that you can check for yourself before applying. They even have job listings for big companies like Apple and Amazon. This site has a large pool of work opportunities ranging from marketing to customer care, nonprofit and much more. It’s available in 12 languages and supports 24 countries. With just one search on Simply Hired search engine, you can quickly see all open jobs. 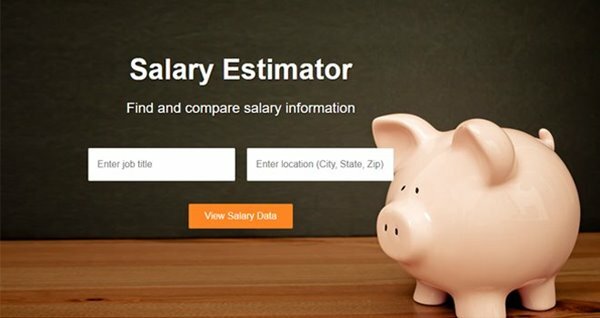 Interestingly, if you’re curious about how much you’ll earn in your location, you can check their Salary Estimator. Established in 1999, they serve marketers in building a team who have the necessary skills in helping grow their businesses. Jobseekers have to sign up and apply for open jobs in which job descriptions are shown outright. Why is it better? You can directly send the application even without logging in. Companies display their website and brand so you know who the employers are. The nice thing about Econsultancy is that you can create a job alert for job types that you are looking for. Then they will send you a list of relevant jobs that you’re only interested every time. With over 26 million registered users and more than 13 million jobs posted, this could be the ideal marketplace for you to get freelance jobs in design. It allows members to compete with each other to prove their skills and talents. Freelancer is free to sign up, create a profile, select skills of projects, upload a portfolio, bid on projects and discuss projects with an employer. There is also a membership plan starting at $0.99 per month to $$59.95 per month. And they have a 1-month Free trial. 1 month time is good enough to send as many applications and bids. The free trial will allow you to bid 100 times. Freelancer also allows you to showcase your work. Here’s a sample video tutorial on how you participate in logo design contest at Freelancer. It’s a free search engine for online jobs. It collects job listings from all major sources like job boards, newspapers and company career pages. You can easily start by uploading your resume, then searching, saving and applying for the jobs that you are qualified for. You can filter notification emails to only get specific job preference. Formerly Hire My Mum. Most jobs are intended for moms – stay at home mums. They only have a few job postings at the moment, but who knows you might meet the employer of your dreams by browsing through their job posts. Signing up in FlexiHomeJobs is free, so you’ll have nothing to lose. Plus they got tons of interesting and useful blog posts that share tips and resources for work at home mums. On We Work Remotely, there’s no need to create lengthy profiles and resumes, you can apply for jobs right away. They display the contact email addresses and the websites of the employers so you get to check and research the company first before sending your application. You can also select which job listing you prefer and they will send you new job posts right through your email every day. Finding jobs in WorkHoppers is completely free, only employers are required to pay a monthly subscription fee. So if you’re a looking for a flexible job opportunity, sign up for a Workhoppers’ account. Unlike other flexible work sites, there is no bidding, no middleman, and no commissions. They specialise in finding an ideal match in your own city, but they also list a good number of work from home jobs. What’s more, they offer a free PDF with practical tips on your freelance business plan, marketing skills, time management and how to negotiate your price like a pro. With over 8 million jobs, ZipRecruiter can help you land your dream job. Simply upload your resume and start applying for jobs. No more long applications. Moreover, they’ll keep you updated at every stage of your application. You can sign up for a free account on ZipRecruiter. Only the employer pays for the job posting. ZipRecruiter got me my first real job after I graduated from college. Thanks to them, I am now able to be in this world as a functional, working adult. Hooray for salary! No more clocking in! Start making money even today, by signing up for Gigwalk. You can earn as little or as much as you wish. Link your PayPal account with their app (currently available in the US and Canada) and start finding gigs within your area. This site is geared toward helping moms only. But they do not restrict anyone from joining. To view their carefully reviewed job postings, you need to sign up for a membership fee of $29.95 per quarter. Aside from that, they don’t take commissions from your earnings and they don’t get involved in the payment process. If you have marketable skills, experience and a willingness to do a great job and you will do a great job when you get one, then join them now. This is a job site specifically for Eastern European developers, project managers among other workers. But accessing their job board listing and applying for an open job listing does not require you to log in, they do not have restrictions job seekers from other parts of the world, too. They also run weekly training webinars just for you, once you register with them. This site helps programmers, web developers. designers, entrepreneurs and writers find each other and work together for a common goal of creating functional and great looking websites. Joining is free. Simply create a job seeker account and get access to multiple job posts that you can immediately start applying for. Their neatly organized website allows you to even see similar jobs to the ones you choose to apply for-giving you great variety. CrunchBoard is the official job board of TechCrunch, leveraging an engaged audience of over 12 million readers each month to help you get your job vacancies filled. Jobs posted on CrunchBoard will be visible on the TechCrunch network including the website, daily newsletters and social channels. Kuhustle is a platform where you as a freelance can browse for jobs. Employers can also post jobs which you can apply for. To join Kuhustle, (it is free) you must sign up using Gmail, Twitter, Facebook, or Microsoft. 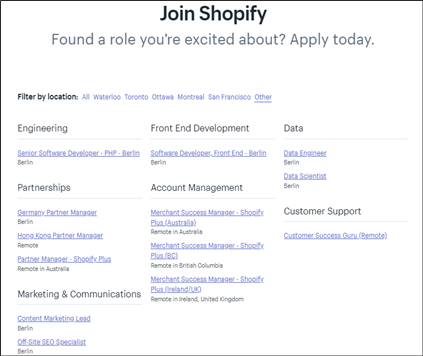 Next, you have to fill in all the mandatory profile fields which are mainly your skills, experience, and Bio. At Kuhustle you need to buy Kuhustle credits for you to submit quotes. Read this post to learn more. Once you have Kuhustle credits, you can look for jobs that suit your skillset and submit a quote. If you encounter any difficulty submitting your quote, Kuhustle offers assistance. You’ll also receive email alerts when there are jobs matching your skills. Take a look at the hottest online job skills this 2019. Grab your free cheat sheet. Click here. eCommerce Fuel lists eCommerce jobs mainly for managers and marketers. But, that doesn’t mean that if you are an entry-level online worker, you won’t get a job at eCommerce fuel. eCommerce Fuel job categories include copywriter, customer service, digital marketing, email, SEO, social media, etc. Notably, most of the jobs posted at eCommerce Fuel are based in the USA. But, you can’t miss remote jobs with companies you’d actually want to work for. While at it, you can search their listing by location, company or skills. Alternatively, you can sign up for daily or weekly customised email alerts to hear about new eCommerce jobs. They are a paid platform with a huge database of open jobs. They have about 500,000+ jobs available for you who’d like to start a career in the eCommerce industry. They collect jobs from more than 1,000 career pages; consolidate them and post them on the site. They have a rigorous vetting process that will see only the best of the best get hired. If you are an expert digital marketer, you definitely need to check them out. Founded by Harry Joiner, this job site lists mobile, social and web commerce jobs that you can search by region or title. You can add your resume to their confidential database and also sign up for email notifications for their latest hottest e-commerce jobs. Who knows, you might become successful like Jason who’s earning more as a part-time as an online writer. You can expect to get very good writing jobs from this reputable platform. Watch the interview with the Problogger himself, Darren Rowse, as he gives you helpful tips on how you can get writing jobs fast and easy and what businesses are looking for in a writer. Is an international team but was founded and based in Berlin, Germany. It’s structured in tiers which means that the higher your level is the more you earn per word. You can work your way up by writing quality articles. It’s ideal for beginners. You submit a sample of your work and you are judged based on the sample you’ve given. Meet client expectations and you’ll soon find that your level increases and get a higher payment. They only accept skilled native-English writers as they filter the best writers for clients looking for fresh and original content. They pay very well. With their satisfaction guarantee, customers won’t be charged for poor quality. You can also get editing work after passing their rigorous tests. Here are a couple of other things that you should know about Scripted from the Co-founder, Ryan Buckley. This platform pays very well. You can check out their rates on their website. If you are confident about your writing skills, check them out. 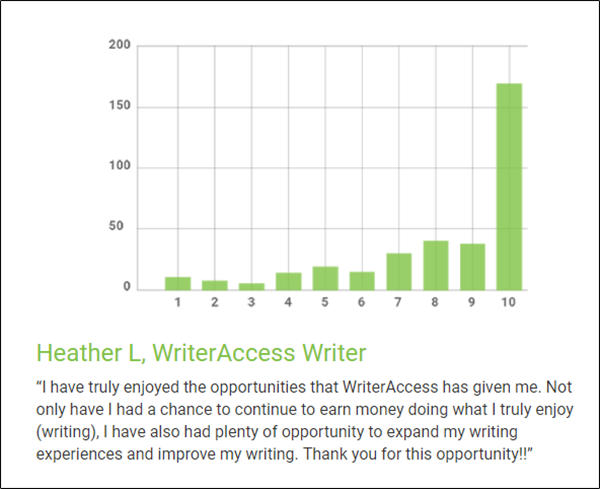 See writers’ testimonials about how Writer Access has helped them earn money online. From a scale of 1 to 10, 10 being the highest, their rating is from writers is undeniably high. You can easily turn your writing skill into cash with Textbroker because they’ll give you an opportunity to deliver unique custom content. Whether you are a beginner or an expert, you’ll have access to plenty of writing opportunities on topics of your choice. Moreover, there’s no limit to your earning potential. Plus, registration is free! Dribbble is a community of designers sharing screenshots of their works, projects, processes. Often, many employers post a job or scout designers from Dribbble. They offer tools for employers to search, bookmark and contact the best designer for creative design job opportunities. If you are a graphic designer, make sure you have signed up for a Dribbble account so you can show and promote your design, and explore other designs as well. Krop is one of the world’s most respected creative brands. As a talented candidate, build a free trial portfolio and start applying for jobs. Membership is free so you can try if their services are the right fit for you, though options are limited. Pay for membership to widen your search and increase your chances of getting hired. Their extensive job board caters to all experience levels in the digital creative industry. A large online marketplace that connects customers and design experts all around the world. Clients submit their projects, 99designs shares a project with more than a million designers. When your work stands out, the client chooses your design and works directly with you. Winner of the design contest gets the prize. Owned by Adobe, who’s well-known for Photoshop. Their active job board allows you to apply for jobs immediately. Use filters to quickly get desired results for your skills by choosing the right field and location. Update your work on their platform where clients visit and explore to hire talents. Participation in Behance is totally free. 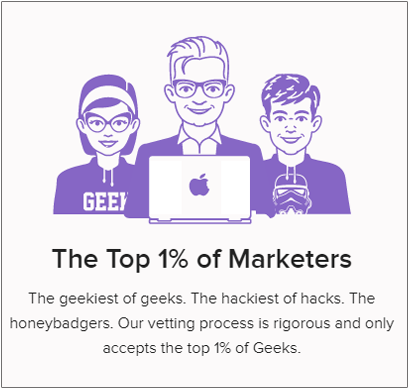 An exclusive network of top freelance software developers, designers, and finance experts that’s built by successful engineers and entrepreneurs who are passionate to grow their business to help aspiring online workers like you! They’ve showcased benefits on why you should use them. You may download their fact sheet: https://www.toptal.com/toptal-fact-sheet.pdf. A marketplace dedicated to help you find top technology jobs in less than one minute. Most of their hiring companies are based in New York, San Francisco and beyond. As a freelancer, you’ll be assured of working for only the best companies because of their strict employer vetting process. The application is easy because, with a single web form, you’ll get connected to hundreds of companies. What’s more, you are directly connected to the key decision makers like hiring managers and founders. This definitely gives your application the much-desired attention. Got a creative talent? Coroflot will link you to design companies worldwide. Get started by creating your profile and share your availability, experience and skills. After their approval, you can post your projects. With their unlimited free storage, you’ll be able to easily tell your story and share your creative work worldwide. 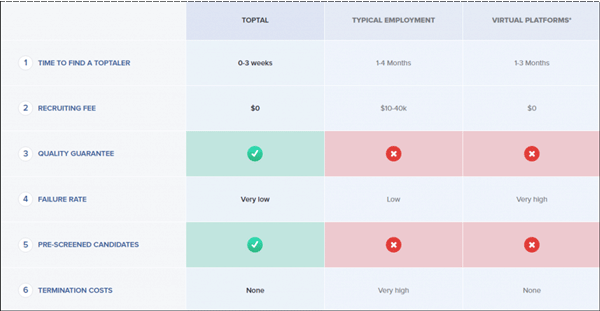 Check out their design salary guide for your payment concerns. The smashing magazine will connect you with great companies for design and developer jobs. To apply, simply search through their jobs listing. They list jobs for creative pros and designers since 2005.With their easy to navigate search filters, finding a suitable job for you is fast. What’s more, you can subscribe for email alerts on new jobs. You can join Crowdspring as a creative and start your journey to making custom logos, print designs and web designs among other creative stuff. Currently, they have over 200,000 talented creative people from 195 countries and you can join them as well. Register from anywhere in the world with your email address. If your design is chosen provide the final files and receive your money. Formerly known as eaHELP, offers you both personal and professional success. Belay Solutions gives the best virtual opportunities to work 100% remotely. Some common VA jobs at Belay include travel planning, research, social media admin, and other project management for business support. They have highly skilled executive professionals and administrative support that help match clients with the right Virtual Assistant. Watch the video to know more about their service. If you are a world-class business support specialist, then this is the right place to start your application. They take in customer service, administration, project management and marketing professionals. It’s a private American company that offers genuine jobs for qualified applicants. The Virtual Assistants hired in their company are called “Zirtual Assistants”. They provide services to their USA and international based clients; one client works with one zirtual assistant. An online marketplace that helps client meet individuals perform the task that can’t be done in automation such as phone numbers and website information collection which are until now done manually. Although not yet popular to many, Shout Me Loud listed them as one of the best boards for virtual tasks today. 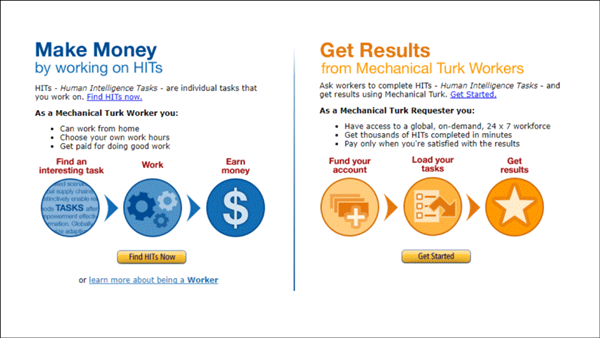 With over 900+ HITs (Human Intelligence Tasks), check how their company works. A UK based company that is considered as the leading online marketplace for businesses looking to hire freelancers looking for jobs in various job categories. You start from hourly rates (Hourlies) then increase your rate as the task grows. To earn more jobs on PPP, work on your way to get featured on their site. Dedicated to giving you the freedom to work from home, you can join Rev’s global team as a transcriptionist, translator or Captioner. By now, you’ve realised that Upwork isn’t just the only job board that can help you with your online career. There are a lot of work opportunities out there for job seekers like you, who aspire to work from home and land that dream role. Rather than investing your precious time and effort just to get that first email job notification from Upwork, start spreading your resume out to Upwork alternatives mentioned above and experience better results. They sure are competitive and safe to use. Start building a strong and positive impression of yourself by showcasing your skills in your resume. Employers are keen on filtering applications. Who knows? Your dream job may just be around the corner, waiting for you. The decision is yours to make! If you still do not have the necessary skills or would like to secure a long-term and reliable online career, enroll for an online course to jumpstart your online career. Improve your resume. Click here to download your free transferable skills cheat sheet.